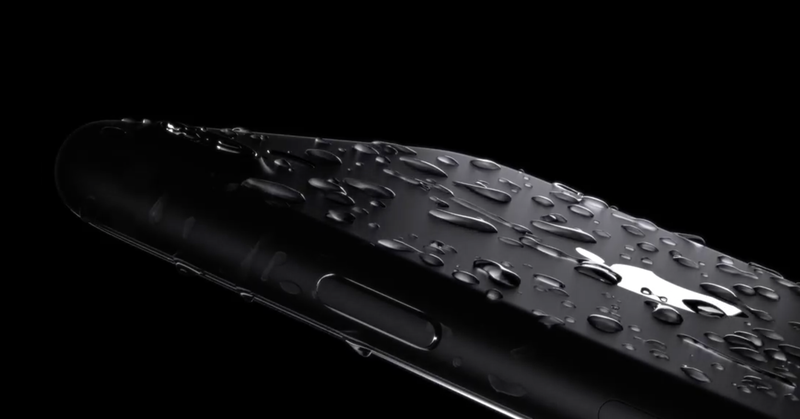 The camera in standard sized iPhone 7 has been upgraded with optical image stabilization and a brighter f/1.8 lens that lets in 50 percent more light than the iPhone 6S’ f/2.2 lens. Apple says the new 12-megapixel sensor, which has the same resolution as last year’s phone, is 60 percent faster and 30 percent more efficient. It’s coupled with a new image processing chip and quad-LED flash that produces 50 percent more light. 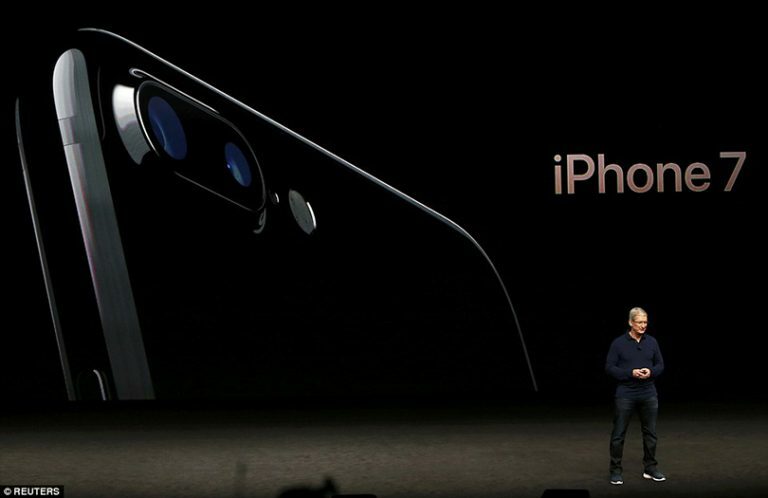 Apple’s Phil Schiller boasts that the new processing engine leverages machine learning and has “supercomputer performance.” The front camera on the iPhone 7 has been bumped to 7 megapixels with automatic image stabilization for better selfies and video recording. But the real upgrades were saved for the larger iPhone 7 Plus’ dual camera system. The company says the new dual camera allows for true 2x optical zoom without loss of image quality. One of the lenses is equivalent to 28mm for wide angle shots (like a standard iPhone camera), while the other has a closer, 60mm equivalent lens. Switching between the two cameras is seamless in the iPhone 7 Plus’ camera app — just tap the 1x or 2x button and the camera will switch automatically. You can zoom further, up to 10x, but beyond 2x is digital zoom that crops the photo. Apple has also developed a feature that uses both lenses to mimic a shallow depth of field, like what can be accomplished with a larger DSLR. This feature will be available via a software update later this year. As has been rumored all year, the iPhone 7 line does not have a standard 3.5mm headphone jack. In its place is a second speaker, giving the phone stereo sound, and Apple has developed a set of EarPods with a Lightning connector that will be included with the phone. Additionally, an adapter comes in the box so you can still use 3.5mm headphones with the device. In addition, Apple has developed a new set of wireless headphones called AirPods, which are designed to work with the iPhone 7. The AirPods are truly wireless, without a cable connecting the left and right headphone. Apple developed a new wireless technology (based on Bluetooth Low Energy) that handles both audio and the wireless connection to the phone or Apple Watch. They have sensors to detect when they are in your ears and “motion accelerometers” to activate Siri. Apple says the AirPods have five hours of battery life and come with a battery case that provides 24 hours of total use. The AirPods will be available in late October for $159. Apple-owned Beats is also introducing a line of headphones that make use of the new wireless technology. The iPhone 7 also comes with a new A10 Fusion processor that is said to be 40 percent faster than last year’s chip. It is paired with a new graphics processing chip that is 50 percent faster than what’s in the A9. 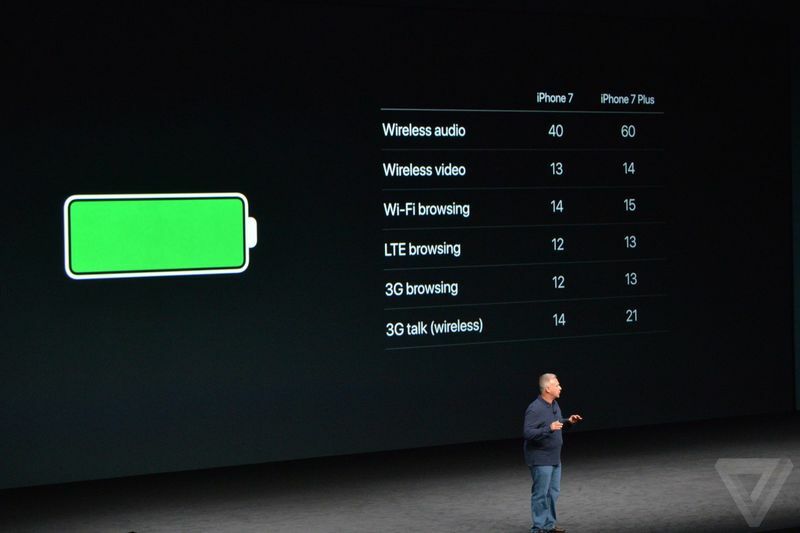 Apple also says that the new phones have “the longest battery life ever of an iPhone”, but the actual improvements seem as incremental as always. The company says the smaller iPhone 7 will last two hours longer than the iPhone 6S, while the 7 Plus gains an hour over the 6S Plus. Apple says the new phone will be available for purchase on September 16th, though preorders start on September 9th. The iPhone 7 will start with 32GB of storage for $649 (a long awaited upgrade from the 16GB that used to be in the base model) and goes up to 256GB for $849. The larger iPhone 7 Plus is actually more expensive than its predecessor, starting at $769 for the 32GB version and go up to $969 for the top model. The device was revealed by Apple’s Twitter account ahead of being announced on stage, a rare blunder for an Apple product launch. 0 Response to "iPhone 7 and 7 Plus | Overview"